Eyes are the first thing people observe in a person. Puffiness makes them look dull, tired and ugly. Unfortunately, all of us experience them at least once in our life. Puffy eyes are caused by lack of sleep, genetics, dehydration, stress, and aging, over-consumption of salt, allergies and crying for a longer time. Thankfully puffy eyes are mostly a cosmetic issue but very rarely it can be a symptom of serious underlying health conditions which include kidney failure, thyroid disease, pink or hay fever. If under eye bags or puffy eyes dragging your confidence down then there are some simple home remedies you can try. There are many ingredients like milk, potato, and cucumber to reduce the puffiness under the eyes. But, here in this article, we will discuss “milk for puffy eyes” in much detail. Does Milk Really Reduce Puffy Eyes? Milk provides cooling effect to the eyes which reduce the stress. The lauric acid and vitamins present in milk calm the swollen eyes. The astringent properties of it reduce the puffiness and brighten the skin. It decreases the water retention under the eyes. It naturally lightens the discoloration under the eyes. How to Use Milk for Puffy Eyes? Milk can be used in different ways for reducing puffiness. Below is the detailed list. Choose one among them and repeat regularly. For this process, you can use full fat milk, soy milk, almond milk, milk cream or breast milk. Using a cotton ball, apply milk over the eyes. For extra benefits, use chilled milk. Alternatively, you can soak a cotton ball, wring out excess and place them on eyes on for 15 minutes. Then rinse off with water and pat dry. Using the below process you can make few ice pads and store them in a zip lock bag. Make a fresh batch once they are used. Dip some cotton swabs in milk. Wring out excess, place in a plate and refrigerate them. Remove the cotton swabs after an hour. Store them in a zip lock bag. Take 2 cotton swabs and place them on eyes individually. Remove them once the coolness reduces completely. Combine enough amounts of almond paste and milk. Apply the mixture over the eyes. Alternatively, you can use almond milk directly. The astringent properties of cucumber reduce the water retention and the coolness of it constricts the blood vessels which effectively reduces the fluid flow in the skin tissues. Peel 1/2 cucumber, deseed it and blend it well to a paste. Combine 2 teaspoons of cucumber paste and 1 teaspoon milk powder to make a thick paste. Clean and close your eyes, spread the thick paste on eyes. Let the application rest for 10 – 15 minutes. Rose water provides a cooling effect to the eyes which reduces stress and redness. It also removes the dust accumulated in the pores. Combine milk and rose water in 1:1 ration. Soak 2 cotton balls in it and wring out the excess. Place them on closed eyes individually. Relax for 20 minutes and remove them. Repeat 2 times daily to observe the results. Catecholase compound present in potato reduces water retention under the eyes. The starch present in potato reduces the swelling or puffiness. Add enough amount of milk to make a thick paste. Close your eyes and apply the mixture on eyes. Repeat the process daily 2 – 3 times. Baking soda tightens the skin, reduces the discoloration, heals the skin damage, absorbs excess oil, and kills off the allergens. Combine 1/3 cup of milk and 6 tablespoons of baking soda. Mix well and apply the mixture on closed eyes. Note: Please don’t scrub the application. If your skin is allergic to milk or lactic acid then avoid using it. Make sure to use chilled milk for the remedies. The coolness of chilled milk provides more relief than milk at room temperature. Use raw and organic milk for the effective results. Reduce the salt consumption. Excess salt in daily diet can also cause water retention. Drink plenty of water. This helps to flush out toxins. A good sleep reduces water retention under the eyes. So have a sound sleep of 8 hours a day. Never scratch or rub the skin under the eyes. Due to gravity effect, sleeping on stomach also increases fluid retention. Sleep on your back to avoid it. Dust accumulated on bed sheets can also cause puffiness under the eyes so change your bed sheets and pillow cover regularly. It is very important to remove makeup before going to bed. It helps our skin breathe. We hope you will milk to reduce the puffiness under the eyes. Do you any other remedy of using milk for puffy eyes. Share your experience and suggestion in the comments section below. Both are effective in treating puffy eyes so you can choose any one as per availability. 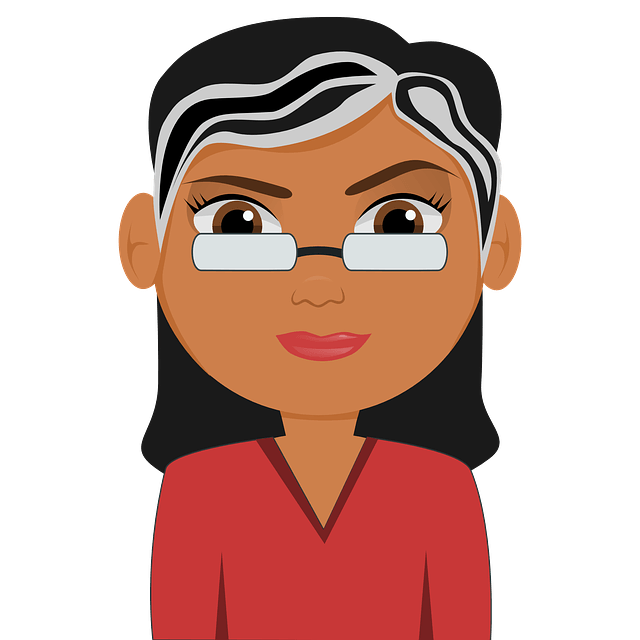 Is it more effective to use chilled milk under eyes or chilled milk and baking soda? Very Informative! 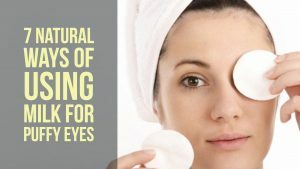 Natural remedies work great to get rid of puffy eyes fast. Just make sure that you regularly follow the remedies to get the desired results within a shorter time span. Thanks for sharing.